Urban wildlife. Wild animals coming out of the wilderness and settling in where the living is easy; your hometown. Think of it like this; why wouldn't a coyote choose to live near big cans overflowing with sweet-smelling (to a coyote) food items? No hunting or chasing involved. And don't forget about the coyote's occasional dietary supplements... pet cats and dogs. So easy to catch. 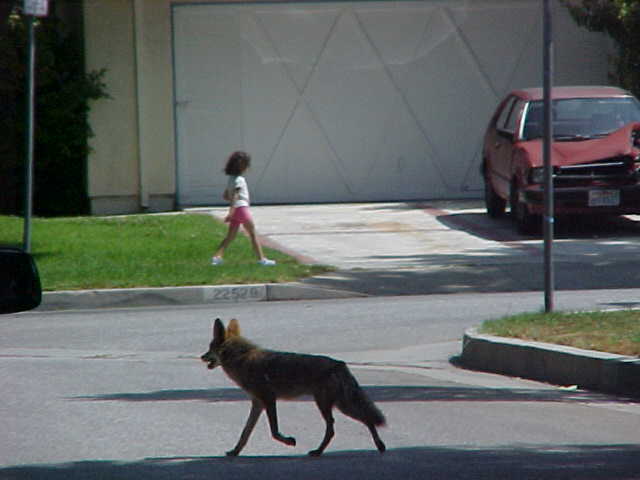 In many U.S cities, you can find coyotes, foxes, opossums, rabbits, raccoons, squirrels and deer. That said, urban wildlife here is kind of fun and interesting. But not so in other countries! In India, langurs make pests of themselves by stealing fruit from market vendors in broad daylight. In Africa, penguins have become such a nuisance in towns that fences have been erected to stop their migration into the city. 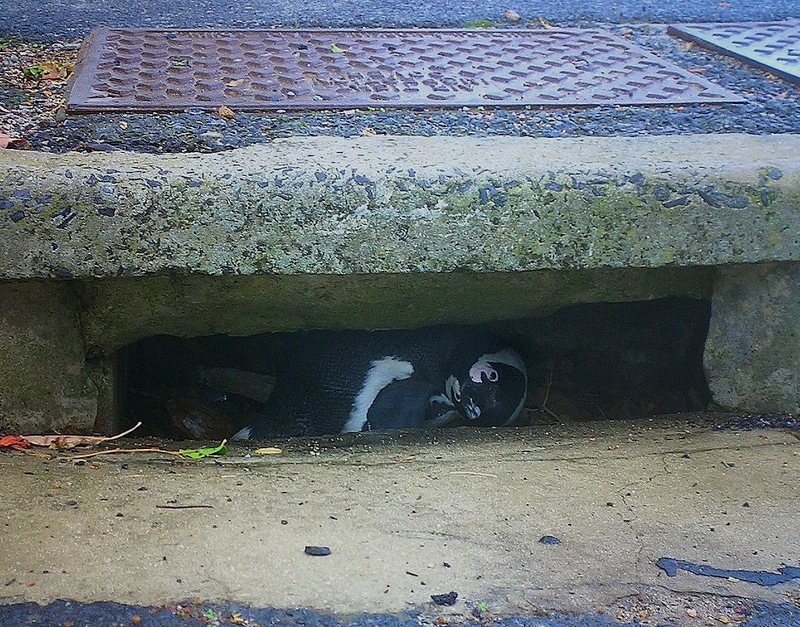 They tend to nest in such outrageous places as storm drains and people's gardens...and they're really noisy and messy! Roe deer (the kind of deer that Bambi was, believe it or not) are becoming common in areas of Glasgow, Scotland. 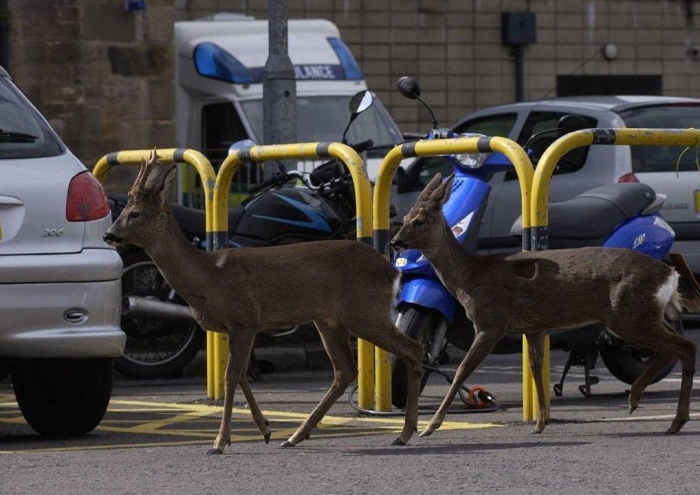 Then there's urban wildlife that can be dangerous. 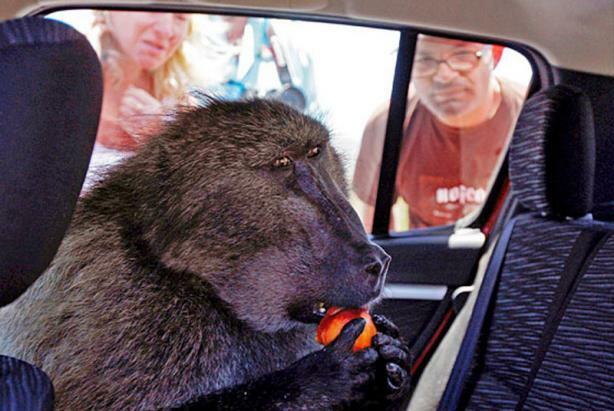 In Cape Town, Africa, 450 baboons live and breed in the city, prompting officials to hire an outside company to manage these big guys! 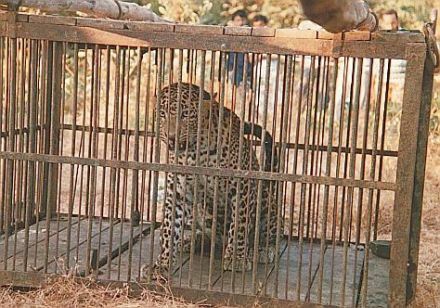 And how about the leopard found in the basement of a school in Mumbai? Leopards prowl the streets by night there... scary! The Red foxes in England are getting cheeky, too. 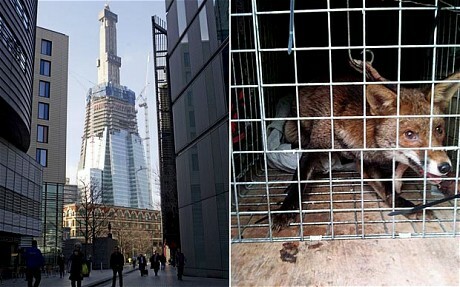 One was found on top of London's tallest skyscraper, living 944 feet above the ground and surviving on scraps left by builders. How'd he get up there? Experts figure he took the central stairwell, of course! Want to get involved? Many cities have Urban Rescue and management programs that need volunteers. Oh, definitely cool...if you aren't in Africa or India!